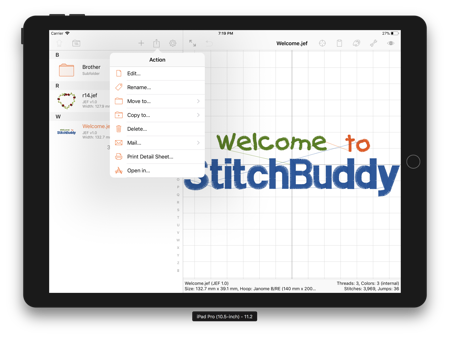 StitchBuddy HD and View will be combined into a single application, working on iPhones and iPads with identical features. So finally you will be able to convert and combine designs and even make modifications on iPhones. On iPads the app is going to use an optional split view, providing a great overview of your gallery while editing a design. Performance will be improved, and you will be able to search for designs in subfolders, and select all stitches of one color.